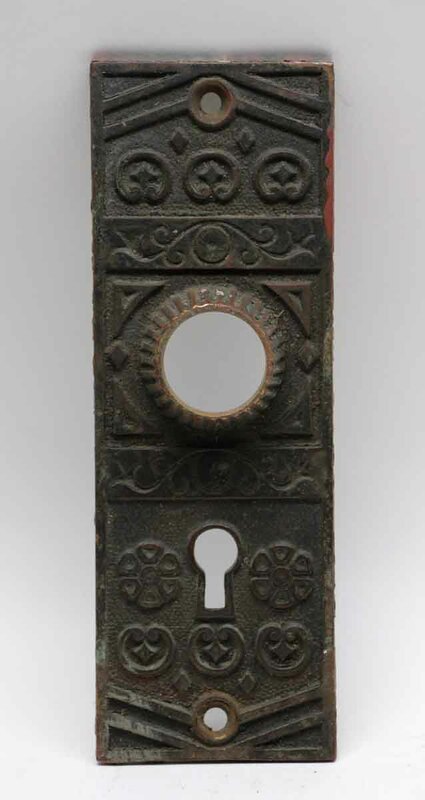 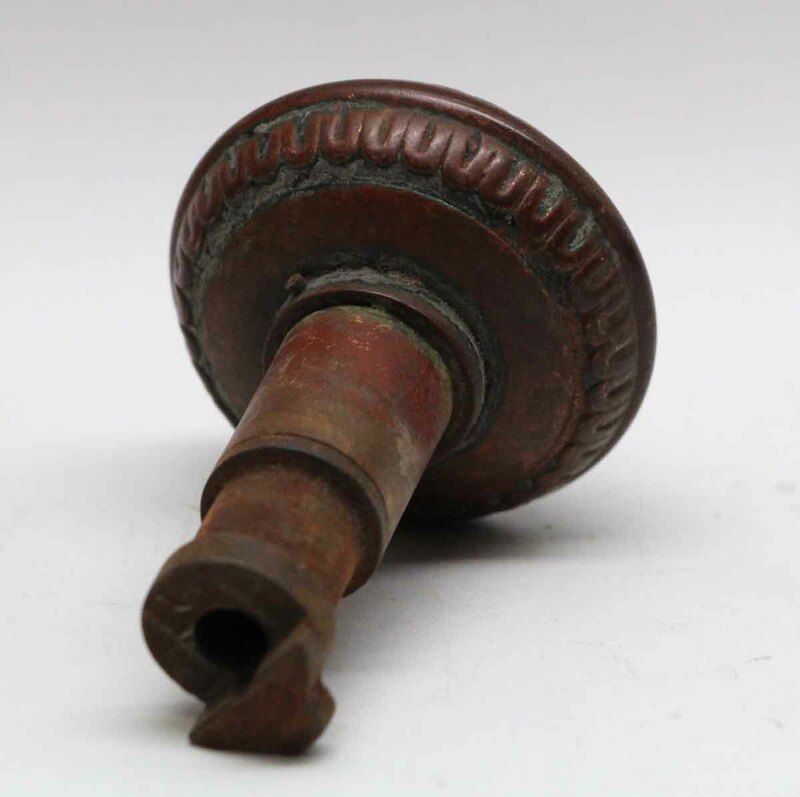 This Vernacular style eight fold knob was made by Niles/Chicago in the 1880 catalog. 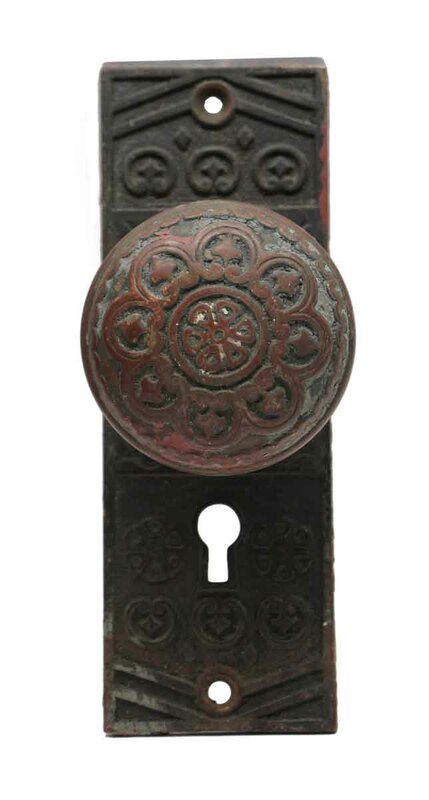 It is part of the K-20200 group. 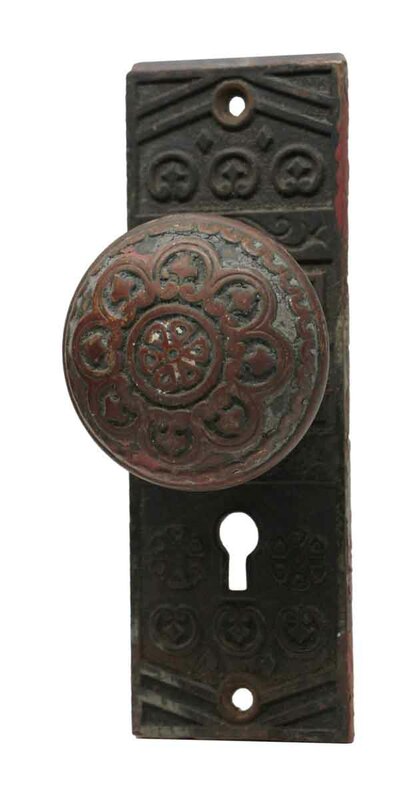 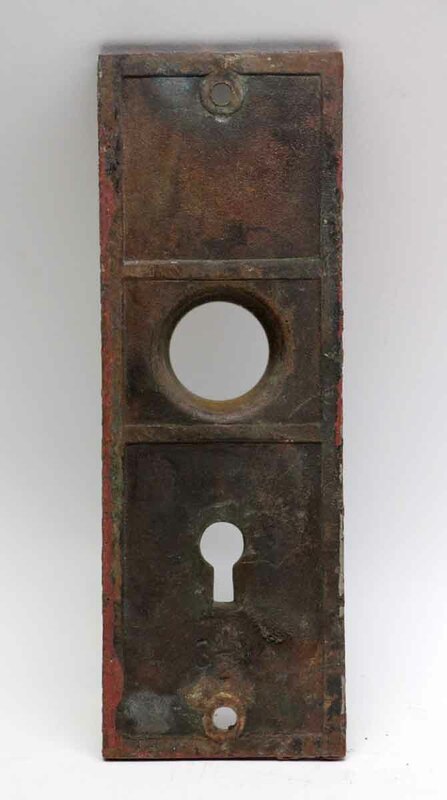 Set includes one knob and one keyhole plate.